Come see the paintings created by more than 70 artists during Paint Snow Hill 2018. At the Old Firehouse on Green Street in Snow Hill there is a preview on Saturday, April 21 from 6 to 8 with a $30 admission fee. The fee will be applied to the purchase of a painting. 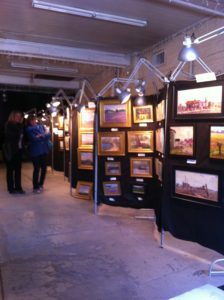 On Sunday, April 22, the show and sale continues from noon to 4. This is the only time the paintings will be available for sale.